Rachel brings international insight to our programme development, continuing to work and travel widely. Recent trips have included Zimbabwe as part of the International Citizenship Service (ICS), and more recently living and working across South America for sustainability-focused projects. 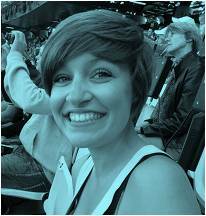 You can read more about Rachel’s travel and work experiences in our blog. After leaving school, Rachel went on a Gap Year to Australasia and South Africa where she developed an interest in community causes and the Not-for-Profit sector. Rachel has gone on to work for Age Concern and Autism Wessex, two community-focused UK welfare charities, within their fundraising teams, and works with Bright Green Enterprise as one of its lead presenters. Rachel also writes many of our thought-piece blog posts!